We will be listing out upcoming changes to the Pet Battles system in this post. Most changes will be coming in the next push but we will hotfix whatever we can. Healing Flame cooldown increased to 3 rounds. Apocalypse is being increased to a 15 round ability. Moonlight will be reduced to 50% bonus healing next push. Moonlight healing reduced to +50%. Cauterize cooldown increased to 3 rounds. Powerball now applies a dummy aura to indicate your speed increase. New Ability for the Terrible Turnip: Sons of the Living Root – summons 6 turnips who deal damage while you are underground. Ability tooltips now show red or green damage numbers that indicate the total calculated strong or weak damage on the current target. Reduced the scaling factor between quality levels by roughly 50%. Stat gains per level have been reduced by roughly 20%. We are in the process of converting a number of non-captureable pets to rares. Currently, all of the non-captureable pets are uncommon. The more difficult it is to obtain the pet, the more likely we will convert it to a rare. Reduced the amount of XP earned in 2 pet, 3 pet and NPC Tamer fights by roughly 25%. Increased the spawn rates of battle pets in Elwynn and Durotar considerably. Many caves and buildings have pets in them but no room to fight. 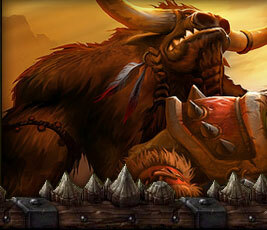 We will be disabling these pets from battles and moving them to different spots. Fixed an exploit that allowed players to fight NPC Tamers multiple times and earn XP. Chat linking for pets is in! Shift-click any pet from the journal into a chat window to share it with your friends. Matchmaking has been updated to find opponents in a much smaller level range. The range grows with time if we don't find a match. Fixed a bug that was causing pets to either die instantly or be set to 97 health in battle. We will continue to post to this thread as we make more updates. Thanks!